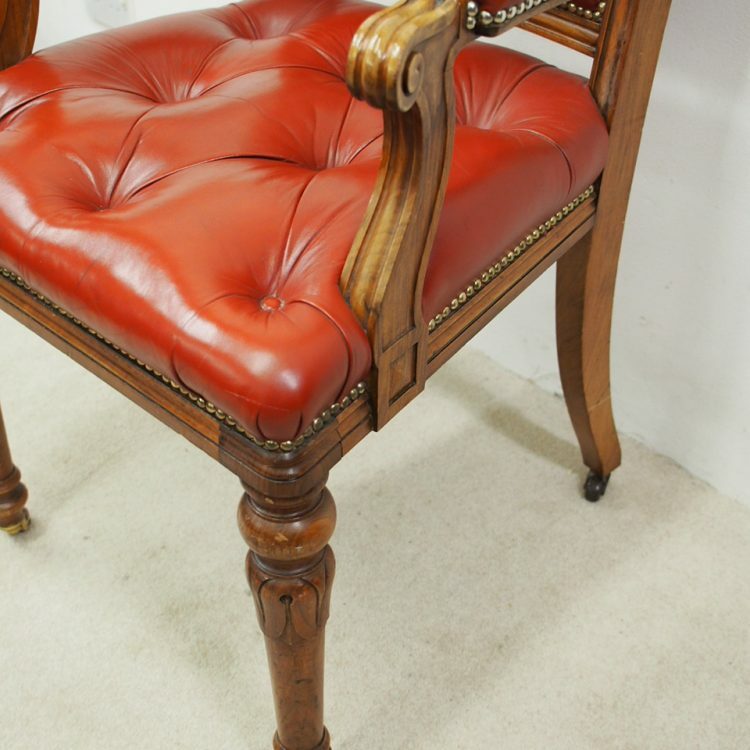 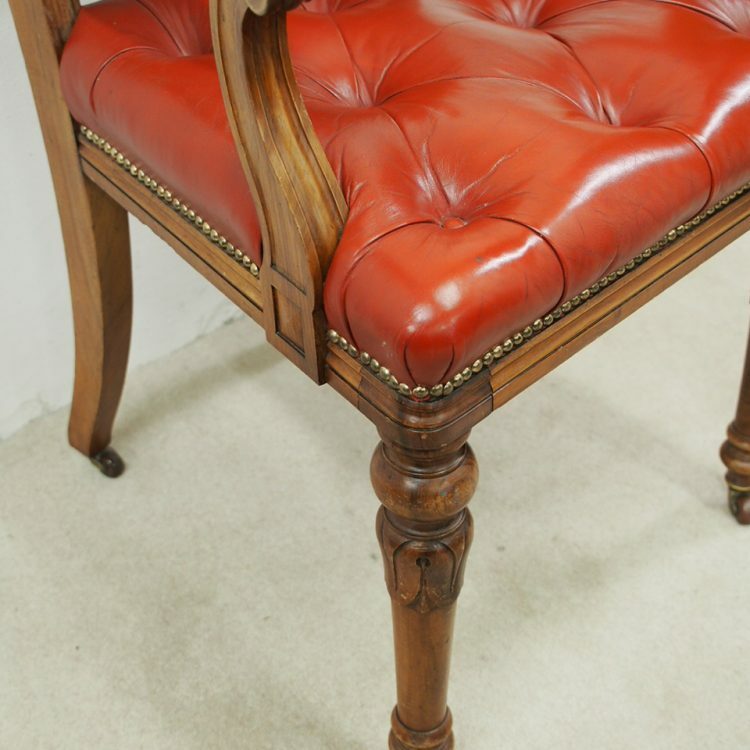 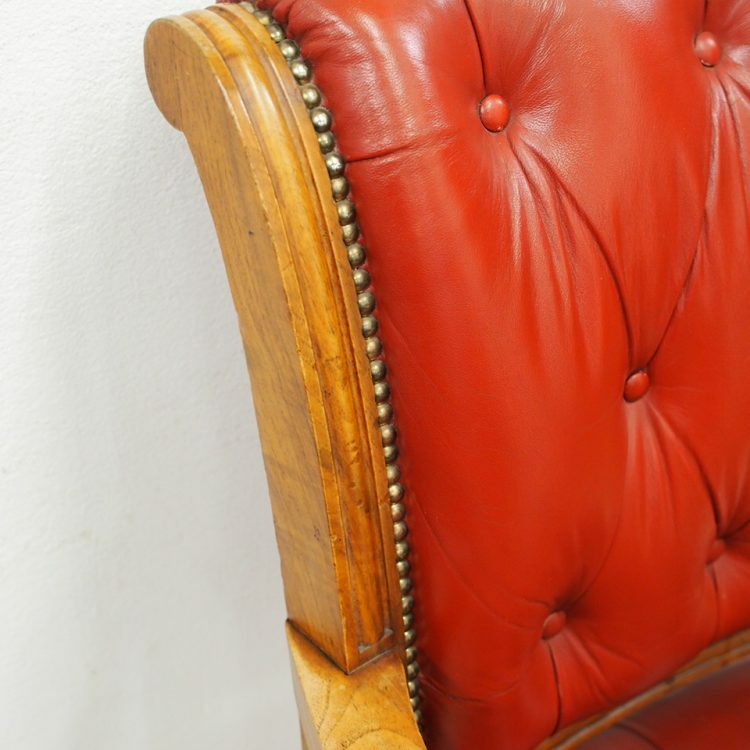 Circa 1860, unusual walnut arm chair with red leather deep button back and seat. 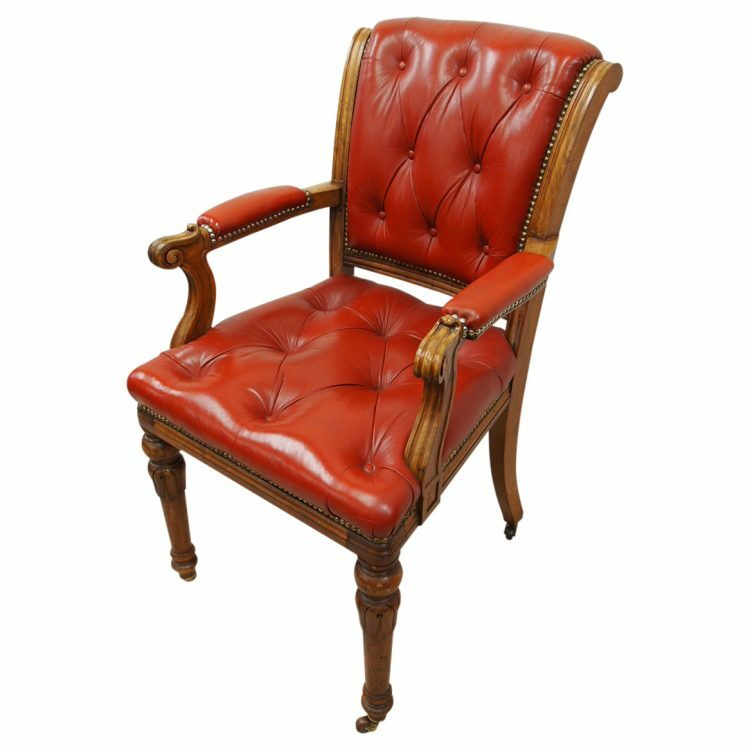 With reeded and scrolling uprights, all the leather is held in place by close brass studding, and there are padded elbow rests. 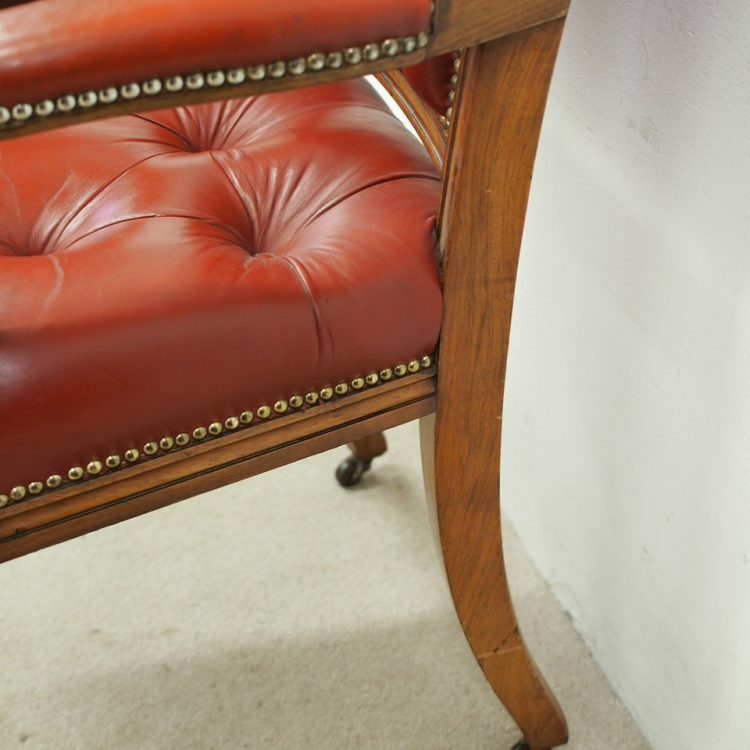 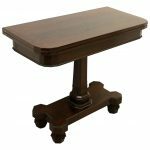 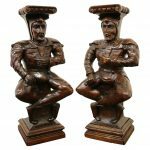 The back legs are slightly outswept, there is a shaped apron and the front legs have foliate carving to the top, finishing on brass and brown porcelain castors.